We kept the lines of the settings clean and simple, because the sparkling gemstones say it all! 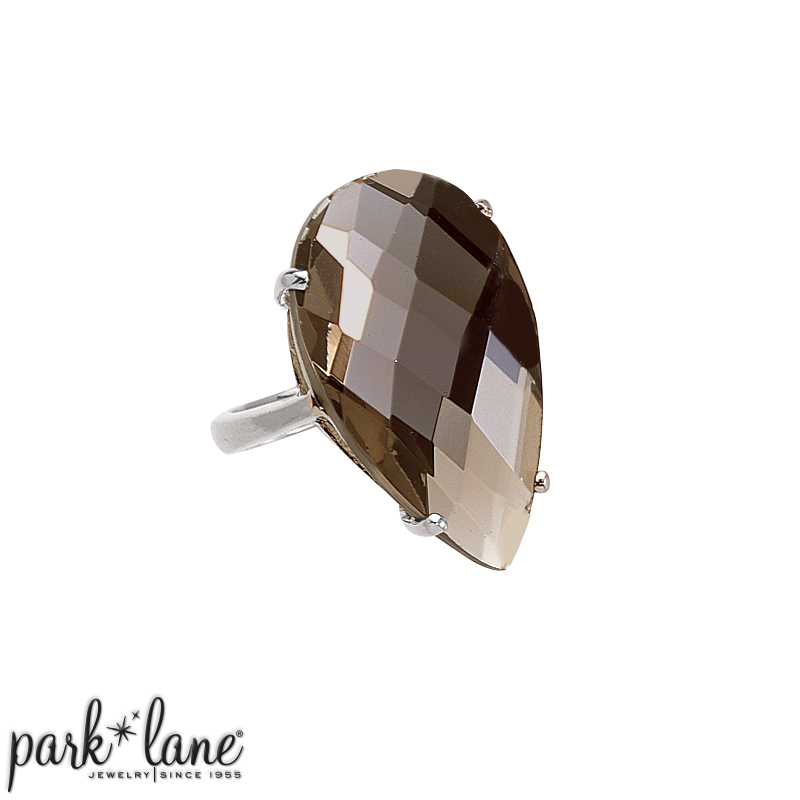 Enormous, teardrop-shaped, smoky topaz Swarovski crystals, it just doesn`t get much better than this! 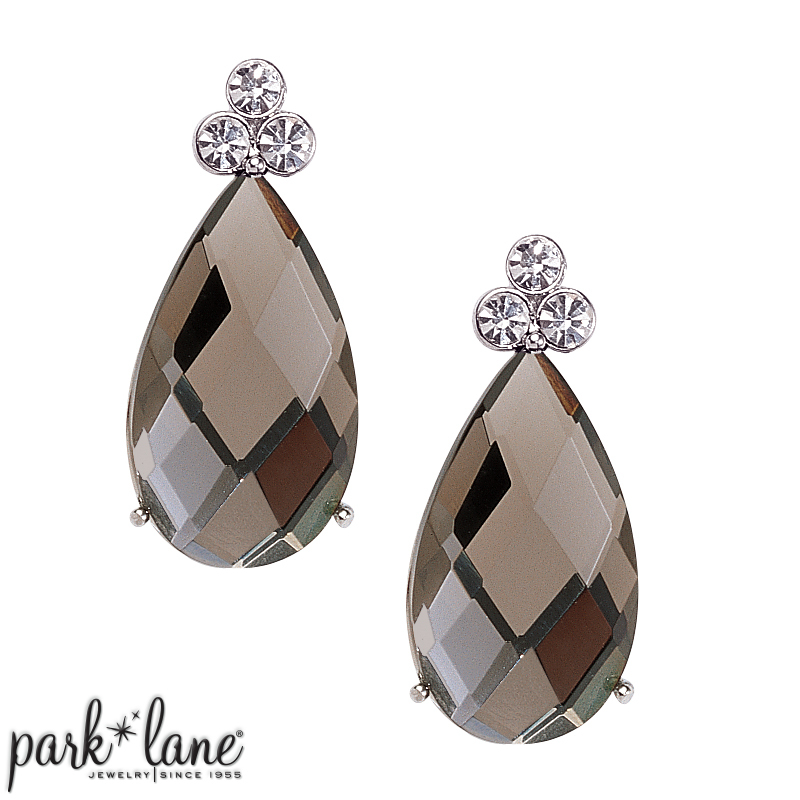 A trio of tiny clear crystals accent the pendant and each pierced earring. Add the eye-popping cocktail ring and turn heads everywhere you go. Ring is available in sizes 6 to 10. Mix & match complements: Bracelets: Chocolat, Frenzy, Volume, Couture or Infinity. Make it more casual by nesting the pendant inside Bali and wear Sand Dune bracelet, or add a two-tone bracelet like Entourage or Francesca. Reflections ring flatters Frenzy and French Silk ensemble.